10.10.10 was the auspicious date of the first ever Healing Ibiza Day. Three years on they are gearing up for their sixth biannual event, coming up in May. With a record number of over 2000 visitors last time round, IbiCASA was keen to explore the reason for this non-profit event’s growing success. A look at the list of core organisers at the heart of proceedings quickly alerts one to the fact that Healing Ibiza is formed of highly credible professionals; coming together to use their knowledge and expertise for the benefit of none other than charity and the betterment of society. 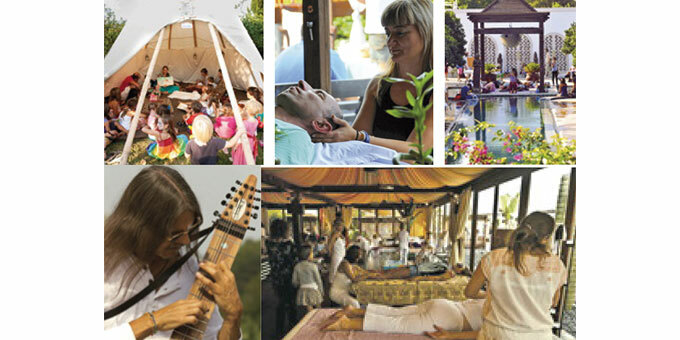 Egos and notions of personal gain are left at the door, ensuring that one collaborative unit operates with a motive that remains intact and pure: to raise awareness of natural healing and individual transformation; rendering Ibiza a shining example of humanity’s highest potential. The organisers, who consist of a cross-section of nationalities – Spanish, British, American, Danish and French – share ideas and strive to make the day as accessible as possible to everyone: “Our aim is simply to inspire people to open their hearts and minds to new ways of thinking and being.” Sharing the same overriding ethos, are over 100 volunteers including therapists, workshop leaders, speakers, oracle readers and yoga teachers – all willingly offering their time and energy for free on the day. 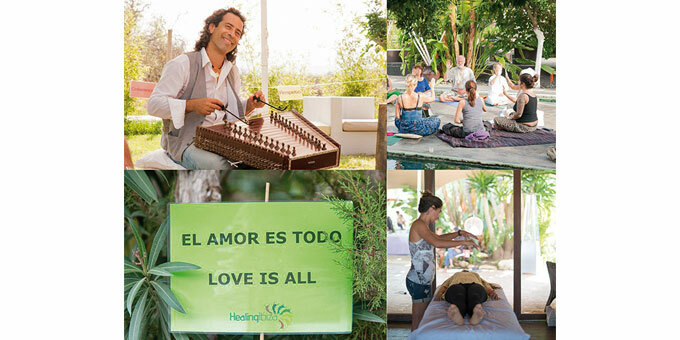 Anyone who has attended a Healing Ibiza Day will know that the atmosphere of this family day out speaks for itself: with people relaxing in comfort; enjoying some invaluable me time; absorbing new holistic wisdom; and soaking up the positive vibrations of a multicultural meeting of minds – in many ways the epitome of much that Ibiza is known and loved for. What is particularly noticeable is the growing uptake of interest from Spaniards; in fact, it is estimated that well over half of Healing Ibiza Day’s visitors are Spanish. One of the Spanish organisers explains: “At first, this was seen to us as something for foreigners, arranged by foreigners. But, curiosity got the best of us. What we found on closer inspection was an atmosphere of such compelling warmth, acceptance and intrigue, we immediately felt at home.” She goes on to explain that at this place in time, the Spanish are increasingly drawn to the concept of alternative living and wellbeing, and with a plethora of such things on their doorstep, they feel gratified to be included in a bilingual event offering a safe environment for exploring what is on offer. In a round-up of Healing Ibiza Day’s success to date, it would be remiss not to mention its host venue: Atzaró. There is no doubt that the surrounds of a salubrious 5-star spa hotel go a long way in adding credibility and pull to any event. As luck would have it, Victor, the Ibicenco owner of Atzaró, embraced Healing Ibiza’s concept the moment it was pitched to him in 2010; in good faith, immediately offering up his venue for free. Three years and six events on, this offer still firmly stands, powered up with added amenability to the growing event’s expanding needs. Healing Ibiza has raised over €10,000 for charity to date, with local charities Samasound, APNEEF, Mandala school, Ibiza Preservation Fund and the Alzheimer’s Association benefiting so far. 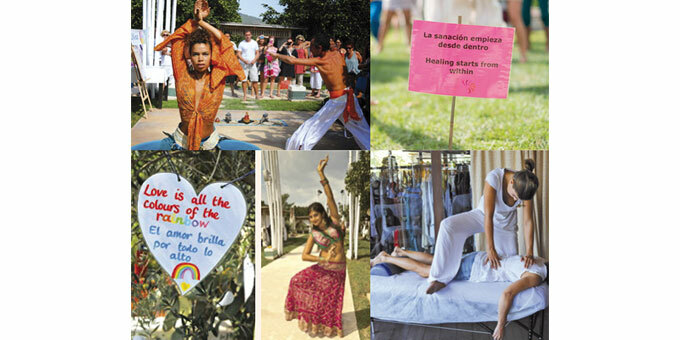 The Healing Ibiza team are all set to return for more of the same on Sunday 5th May at Atzaró, from 11am to 8pm. 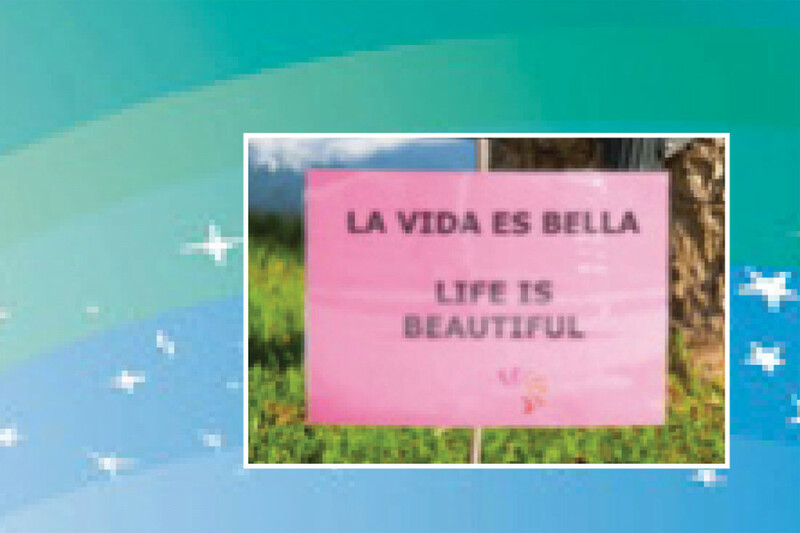 Expect inspirational workshops & talks, yoga, Tai Chi, meditation, market stalls, food & drink aplenty, therapy taster sessions, chill-out zones, live music, entertainment, and an extensive children’s area. Guests are asked to make a suggested charitable donation of €10 at the door, which includes entry to all of the days’ activities (with the exception of the therapy taster sessions, which are available for an additional donation). Under 18s enter for free. The second date of the year is already confirmed as Sunday 13th October.